On Thursday (April 11), thousands gathered to celebrate the life and legacy of the late Nipsey Hussle. During the public Celebration of Life service, which was held at the Staples Center in Los Angeles and streamed online for those unable to attend, a handful of people closest to the rapper and entrepreneur did the difficult and powerful work of publicly paying homage to someone whose undeniable impact continues to be felt across the country. 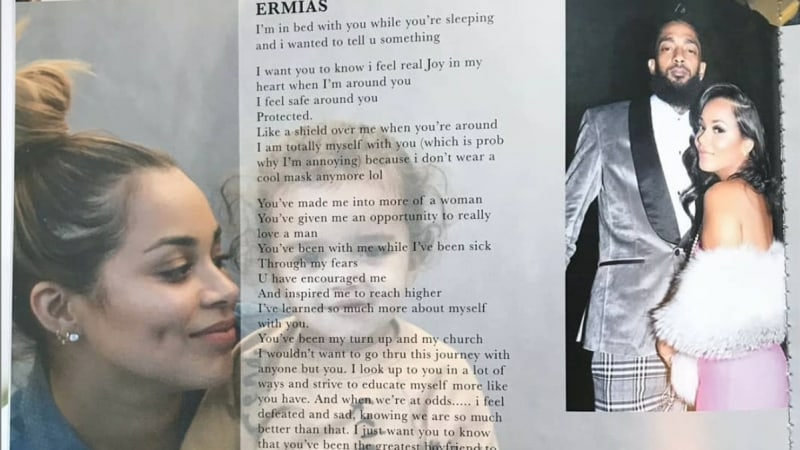 During the service, Nipsey's children stood on stage with his fiancé Lauren London, with the latter reciting a text she sent to her partner at the top of this year while he was sleeping next to her. The text message in question was also reprinted in a program handed out during the Celebration of Life. The program also included touching messages from JAY-Z, family members and others. "I want you to know I feel real joy in my heart when I'm around you. I feel safe around you. Protected. Like a shield over me when you're around," London shared, reading her own words. "I'm totally myself when I'm with you, which is probably annoying because I don't wear my cool mask anymore. You've made me into more of a woman. You've given me the opportunities to really love a man." She continued, "I've learned so much about myself with you. You've been my turn-up and my church... When we are at odds, I feel defeated and sad, knowing that we are so much better than that. I just want you know that you've been the greatest boyfriend to me. You weren't perfect, but I would never ask you to be. You and I work. We fit. And you're the coolest guy in the world. Still." Additionally, Nipsey's mother, Angelique Smith, spoke about her son, displaying an immeasurable amount of wisdom, strength and calming energy with those listening to her powerful words. 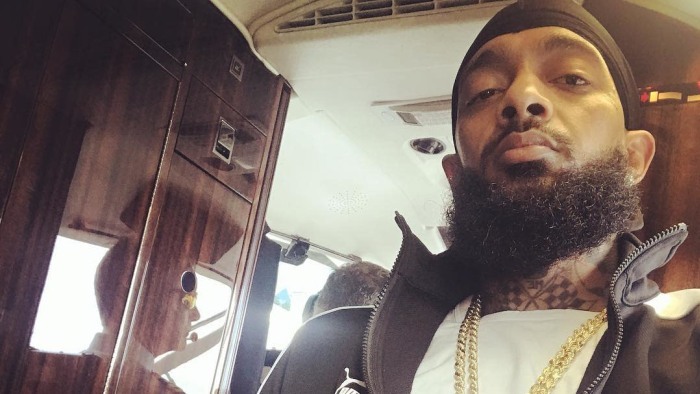 Nipsey's brother, Samiel, father, Dawit, and sister Samantha, also shared a series of emotional, heartfelt tributes, further driving home the reality that Nipsey truly was a rare visionary whose influence will continue to resonate for generations to come. Snoop Dogg also took to the mic, referring to London as Nipsey's "queen" and thanking the rapper's parents for bringing him into this world. "Immortalize this man," the West Coast icon said, reflecting on the first time he heard Nipsey Hussle's music. "The things he wanted for me, he did for himself." In true form, he also exclaimed, "This man got a letter from Barack Obama, man!" Soon thereafter, YG and DJ Mustard took a moment to honor Nip, proudly echoing the sentiment that "the marathon continues." Following the ceremony, which also included performances by Jhené Aiko, Marsha Ambrosius, Anthony Hamilton and Stevie Wonder, a funeral procession embarked on a 25-mile final "victory lap" around the city of Los Angeles. 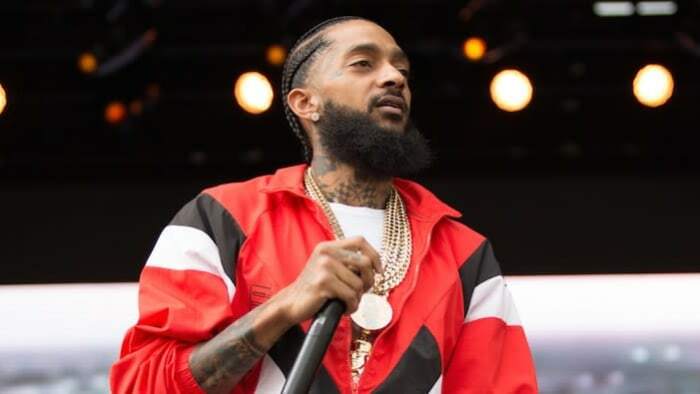 Take a look at some snippets from the Ceremony of Life honoring Nipsey Hussle below.